I very much believe in the Athlete Centred Approach. I draw on my own experiences from being on the start line in my very first triathlon in the 90's to a World Championship race in 2017. I like to encourage and develop new athletes and push all athletes to achieve their full potential, be it racing to a Personal Best or gaining a slot for Kona! 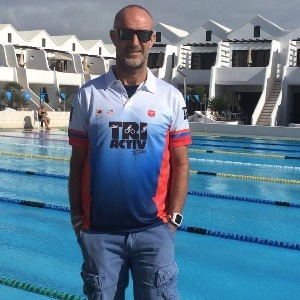 I have many years experience in triathlon but only formally qualified as a coach over the winter of 2016/17. I have completed 4 Ironman races and 13 70.3/middle distance races, including qualifying for the middle distance World Champs in 2017. Also I am the Welsh Olympic distance age group champion. I am currently coaching a group of athletes that includes a Kona qualifier, two second year ironman athletes as well as two first timers. This large range gives many different areas to focus on and I am able to draw on my own race experience and share this with my clients. Success. Coach Peter Lloyd has been notified of your message.